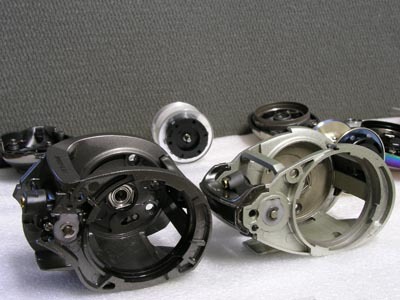 Introduction: Each year, it seems, companies make changes to their products. Whether it be in appearance, internal upgrades, or complete redesigns, sometimes these newer products share nothing in common with the replaced models other than their trusted model names. 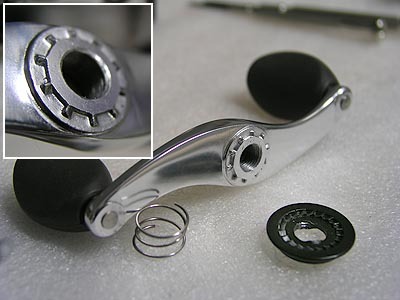 The Quantum Energy PT baitcast reel is one such product to receive a complete overhaul for 2006. 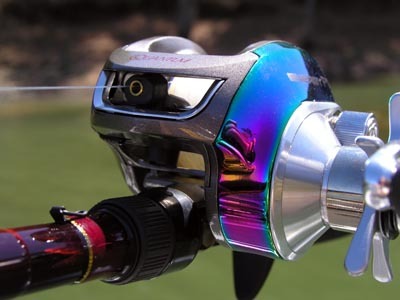 The question in many anglers� mind is what differences, if any, are there between the new and old models and are they actually better? Welcome to our in-depth review and comparison of the 2006 Energy PT. 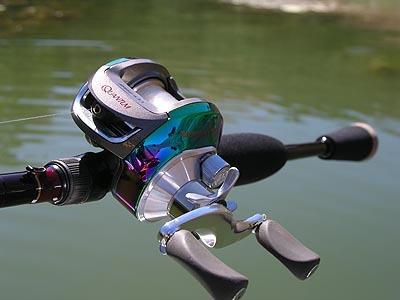 Impressions: Remember in 2005 when Quantum released the redesigned Accurist and Accurist PT baitcast reels? Well, that�s what the Quantum Energy PT reminded us of when we first set eyes on it. 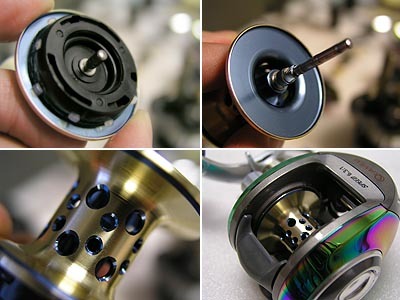 Taking on a similar but not the same profile as the Accurist, this reel has additional enhancements such as the capless screw-on handle with good sized handle knobs, an enlarged gear, Infinite ACS centrifugal cast control, and more. 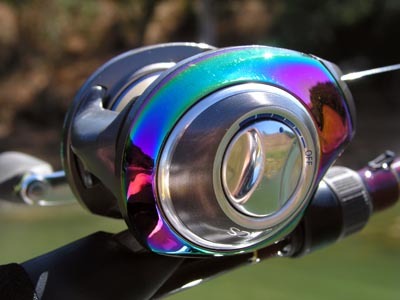 Compared to the older model, the 2006 reel is much more attractive and will surely catch the eyes of anglers. Field Tests: The intent of this review is to do a side to side comparison with the previous model to the newly released Energy PT. So what better way than to take them both out on the water and conduct tests to judge their performance and overall feel tossing the same lures, on the same rod, and the same line. In addition we fished with the new Energy PT for largemouth bass and landlocked stripped bass to test its fishing abilities.